Omni Music returns with a brand new vinyl release, featuring 4 more choice cuts of deep Music. 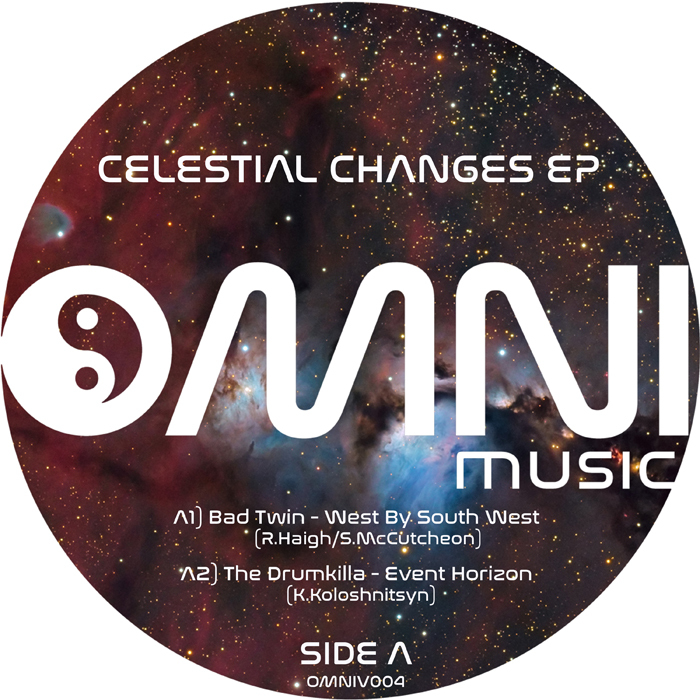 The EP starts out with Bad Twin, whose members will be well known to any Omni fans and any Oldskool Heads. They launch the EP with a classic summer-sounding breakbeat trip down memory lane with beautiful rhodes, delicious harmonics and crisp breakbeats. 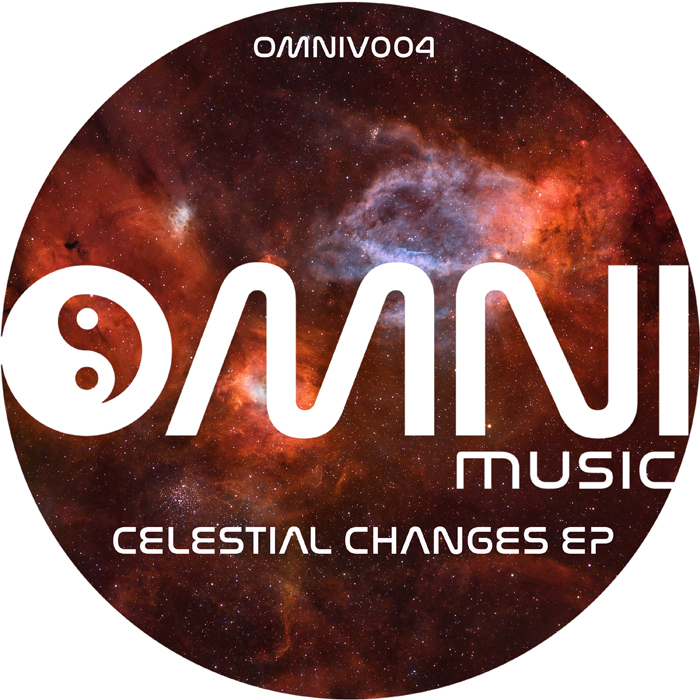 Continuing the EP we feature the amazing talents of The Drumkilla with an new edit of his Omni Classic 'Event Horizon' a string-laden epic amen voyage to the stars. 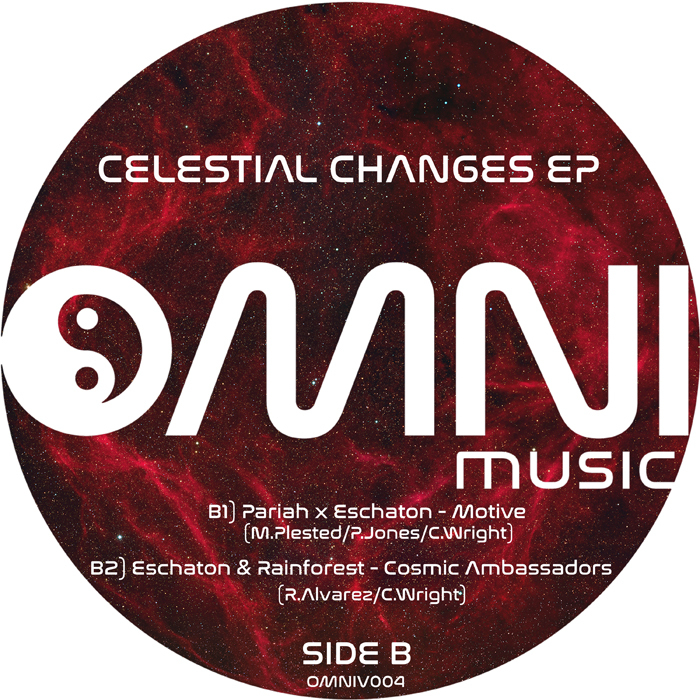 Side B starts with the Atmospheric Kings Pariah teaming up with label owner Eschaton to produce a stripped down and hypnotic head-nodder swimming with celestial pads and space-age bliss. Finishing the EP we have the always magnificent Rainforest who also teams up with Eschaton to continue the journey into deep space with an at times frenetic, but always intelligent, collage of amen rhythms, pounding basslines and otherworldly atmospherics.